2013년 핫 아이콘으로 떠오르고 있는 김우빈이 이탈리아 스포츠 브랜드 ‘디아도라(DIADORA)’의 모델로 발탁됐다. 디아도라(DIADORA)의 관계자는 “모델 출신 연기자인 김우빈이 퍼포먼스 스포츠 웨어를 선보이는 디아도라의 브랜드 콘셉트에 부합하며, 반항적이고 남성스러운 이미지가 디아도라와 잘 어울려 전속모델로 발탁하게 되었다”고 밝혔다. 최근 김우빈은 드라마 ‘신사의 품격’ ‘학교2013’ 등의 작품에서 좋은 활약을 선보여 CF계의 블루칩으로 등극했다. 디아도라는 2013년에 스포츠 웨어 시장에서의 입지를 더욱 넓히기 위한 마케팅 활동을 활발히 펼쳐나갈 계획이며 새로운 모델로 선정된 김우빈과의 조우도 기대하고 있다. 한편, 김우빈은 영화 ‘친구2’를 통해 스크린 주연 데뷔를 앞두고 있다. 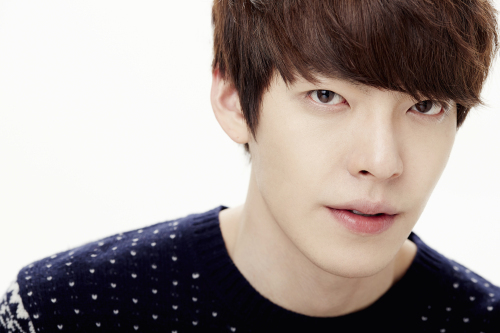 Kim Woo Bin is rising as a hot icon in 2013. He was selected as a model for ’DIADORA’ which is a sports brand of Italy. A person related to DIADORA said "Model-turned-actor Kim Woo Bin is fit for a concept of DIADORA which shows a performance sportswear. His defiant and manly image is a good match for DIADORA. That’s why he was selected." He performed very well in the drama ’Gentleman’s dignity’ and ’School in 2013’ etc, so he became a blue chip of CF. DIADORA is planning to promote marketing actively in order to widen the position in the sports wear market in 2013. And they’re expecting to meet with Kim Woo Bin as a selected new model.